Medical Media Images Blog: Neymar's Spine Condition: What is "Spondylolysis"? Neymar da Silva Santos Júnior, Brazil's star soccer player likely sustained a serious spine injury in the game against Columbia. He received a hard blow in a collision with Columbia's Juan Camilo Zuniga. Zuniga's knee drove hard into Neymar's low back, causing him to collapse and be carried off the field. The injury was so severe that Neymar could not feel his legs in the minutes following the collision. This prompted the medical staff to rush him directly from the pitch to the helicopter pad to have Neymar flown to the hospital. The public perception of the severity of his injury has been based on Brazil Team DoctorRodrigo Lasmar's statements that Neymar's injury is a "benign fracture" which "does not require surgery", but rather "conservative treatment and comfort to ease the pain". The term "benign fracture" is not typically used to describe a spine fracture. The closest thing to a "benign fracture" of the spine is a fracture which involves either the small spike on the back of the spine (spinous process) or the wing on the side of the spine (transverse process). And here is where the confusion comes in. The Brazilian Television apparently obtained a copy of one of the CT Scan slices of Neymar's low back. This image has since been widely distributed and commented on. 1. Is this actually Neymar's or someone else's CT scan? Some versions of this Image have Neymar's name at the bottom, but that does not prove authenticity. However, thus far there has been no official denial of its authenticity, which make it very likely that this Image is truly Neymar's. 2. The team doctor identified the L-3 Vertebra rather than L-5 after all. If he is correct, then there could be more than one fracture, a chronic one at L-5 and an acute one at L-3. This could be a troublesome combination of injuries. 3. This type of fracture is typically a chronic stress fracture rather than one due to the trauma from Zuniga's knee. This could imply that Neymar's Spine was weaker to begin with, due to a chronic stress fracture. While this weakness would not account for a fracture elsewhere in the Spine, it could mean that he has a vulnerability for future Spine problems. To understand the implications of all this, lets take a look at this spine condition, called "Lumbar Spondylolysis". Lumbar Spondylosis is a fracture through the weakest part of the Vertebra, called the "Pars Interarticularis", which is a thin bone bridge on the back of the Vertebra. While this type of fracture can occur due to trauma it is far more commonly a chronic condition. In fact, it is present in 5-6% of the U.S. population. Most patients live just fine with this condition, however top athletes may or may not. A very high and repetitive level of athletics often causes pain at the site of the fracture and can eventually lead to a shift between the Vertebrae, called Spondylolisthesis. The latter condition can cause instability of the spine, nerve compression and chronic back pain. It is often treated surgically. Why does this type of fracture not heal well? Unlike a broken arm or leg, the Spine cannot be casted. The closest thing to a cast is a rigid back brace. However even a brace allows for some motion. The small bone bridge which has fractured, is also under constant pressure whenever we are upright. Even keeping a patient on their back for several months would not guarantee that this type of fracture heals completely. Here is a 3-D Color X-Ray which show a Spondylolysis Fracture from a side-view. This Image is Interactive. Just move your Mouse Cursor over the Image and see the Image Tags come alive. Each tag displays text to explain a specific structure (if the Interactive Tags do not display properly due to slow Browser Speeds, just refresh the page). Here is the front view. This Image is also Interactive. How is Lumbar Spondylolysis Treated? Many patients who suffer from the chronic form of Spondylolysis are treated with conservative, non-surgical treatments such as back exercises and avoidance of the activities which cause pain. Gymnasts, weight lifters and football players are often asked to limit their involvement in these sports for a period of time to stop placing stress on the weakened area of the Spine. However, some patients will suffer from intermittent or ongoing back pain. These patients may need pain medications, targeted Physical Therapy and even Spine Injections. A small percentage of patients are incapacitated by the disease and need Surgery. Someone, like Neymar who competes at the highest athletic level and is also subject to significant physical contact (fouls), may experience intermittent back pain and would likely require more care than the average person. If however his Spondylolysis is due to the injury from his collision with Zuniga, he will initially need a rigid back brace, a restricted activity level, pain medication, and time to recover. He would also need serial X-Rays and even potentially more CT Scans to evaluate the fracture. The largest concern is a slippage of the Vertebrae next to the fracture, called a "Spondylolisthesis". If this occurs, the condition would likely cause more pain and potentially numbness and weakness in the legs. This could jeopardize a professional soccer player's career. What does Lumbar Spondylolysis mean for a Professional Soccer Player's career? This is a very difficult question. Why? 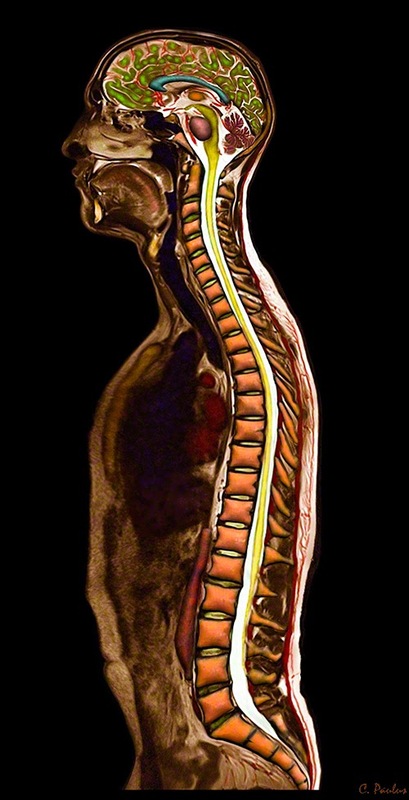 While this Spine Condition has been studied in soccer players, players like Neymar, Messi, Reynaldo are simply "abnormal" in a sense that they can accelerate, move, spin, and kick in ways others can't. So, are athletes at this level more or less likely to have chronic back pain than lesser athletes? The "more likely" argument could be based on the assumption that they have more wear and tear issues over time just due to more motion and force in the Spine. The "less likely" argument could include the assumption that the star players have "superior anatomy", meaning their spine muscles, ligaments and other parts are simply stronger, more durable than others. So, all bets are off with regard to what will happen to Neymar's Spine in the future. At the age of 22, a Spine Injury can either be shrugged off as just another soccer injury, or become a nagging dagger in the side which can rob a star athlete of his confidence. By all accounts, Neymar da Silva Santos Junior is not just a "once-a-generation" Brazilian Soccer phenomenon, but also an outstanding human being. We can only hope and pray that he can continue his amazing career and fulfill his dreams.